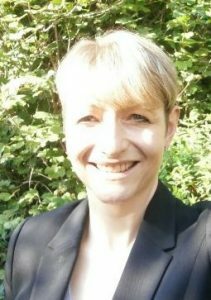 Karen Harding Director of Harding Wealth Management Ltd has 19 years experience in financial services, and is a Chartered Financial Planner and STEP Affiliate member. Chartered Financial Planner remains today’s “gold standard” of excellence and integrity. The advice, service and ongoing support they provide for clients must be of the highest quality and based on the client’s researched needs. This is demonstrated by a commitment to continuing professional development requirements, including adhering to the Personal Finance Society PFS, Code of Ethics. The passion and purpose of Harding Wealth Management Ltd is to provide the highest level of independent financial advice to personal and corporate clients, to help them acheive their financial objectives. Taking time to understand your individual planning requirements, and advising you on the most appropriate solution to meet your specific needs. Reviewing and adjusting plans to ensure that they continue to meet your objectives over time and through life changes. Maintaining high standards of service and regular contact. Following changes introduced in April 2015, if you’re 55 or over , you now have more choice and flexibility than ever before over, how and when you can take money from your defined contribution pension pot.